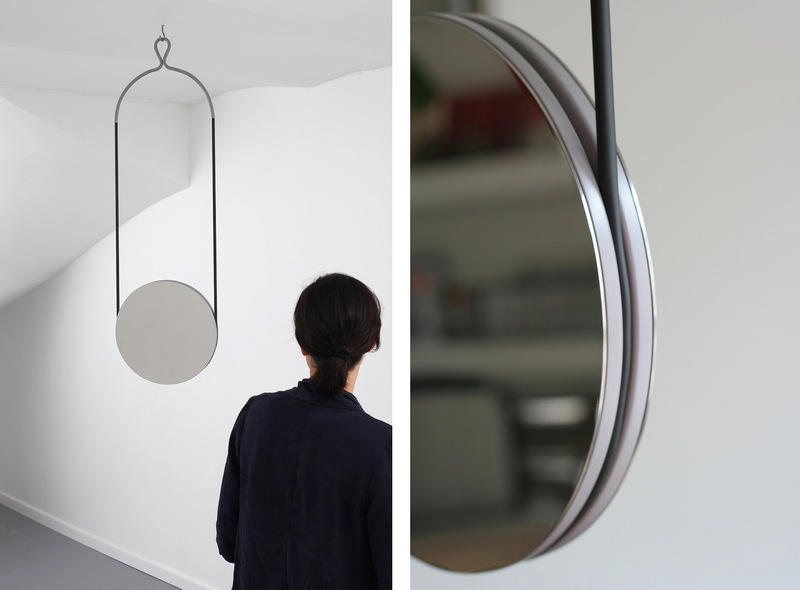 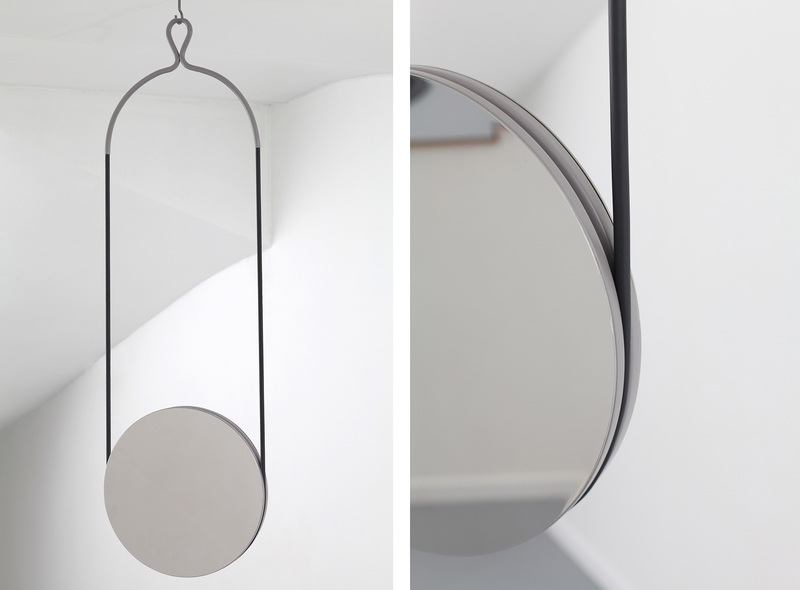 Nello is a mirror that challenges weightlessness.Two sided polished stainless steel disks, holded back by a rubber rope are diffusing light, revealing pure or abstract images. 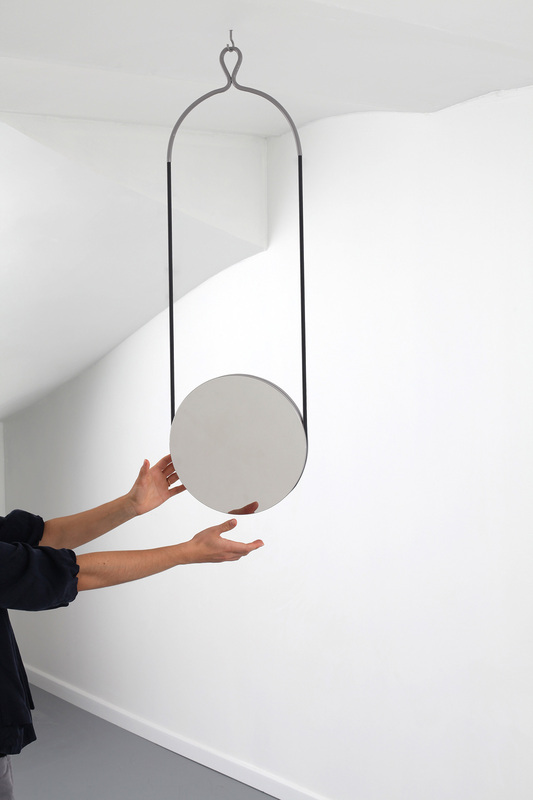 Alternately mirror, sculpture or daydreaming object, it quivers in the air as a mobile and sets free from the walls. 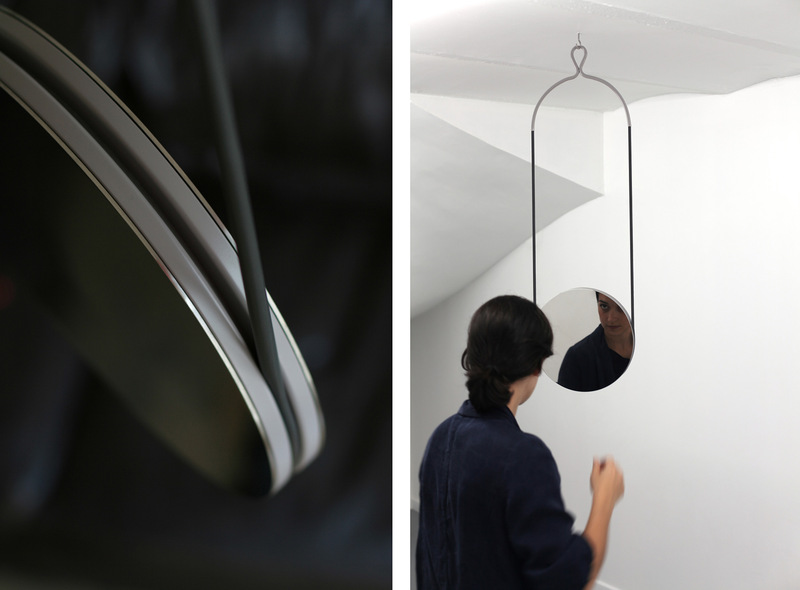 As a tightrope walker, it slightly moves, reflecting faces and objects around it.